I am the manifestation of infinite divine power. I draw all those to me who are ready to do divine work. All those who are ready to be blessed and to take up the work hear my call. With willing hands and willing minds and hearts, we begin the transformation. Building a new community, we follow those before us. Valuing each person, recognizing inner worth, we take the practical steps to provide for all of us. Community by community all feel welcome, useful, privileged. Harmoniously, we blend, we exchange, we share, we receive, we overflow. We sing, we dance, we create art, we celebrate. 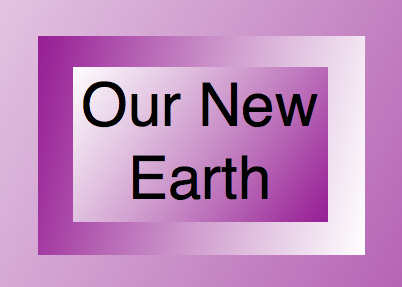 We live in a new earth.